There has been talk recently about the new Viscount Stansgate seeking to enter the House of Lords. His father, Tony Benn, famously resigned his peerage in the 1960s after the first Viscount Stansgate died. William Wedgwood Benn, the first Viscount Stansgate was more than just a politician – he was a bona vide hero of the Great War. William Wedgwood Benn was born in Hackney in 1877, the son of publisher and politician Sir John Williams Benn and Elizabeth (nee Pickstone), who was distantly related to the Wedgwood pottery family. Benn was elected as Liberal MP for St George’s (made up of Wapping and St George’s in the East), for which his father had been MP in 1892-95 (Sir John was MP for Devonport in Plymouth 1904-10); the younger Benn became a party whip in the House of Commons from 1910. “In 1912 he successfully organized relief of suffering during the dock strike and two years later, when war broke out, he became chairman of the organizing committee of the National Relief Fund. When David Lloyd George replaced H.H. Asquith as Prime Minister in late 1916, Benn was offered the job of Chief Whip (a pivotal behind-the-scenes role in Government), but he turned it down – apparently because he did not trust David Lloyd George. Although he was 40 years old – much older than most wartime trainee pilots, who were generally in their late teens or early twenties – Benn went through his training and became an operational pilot. Much of his work still as an observer. In November 1918, he was awarded the Italian Bronze Medal for Military Valour. As well as this and his British awards, he also earned the Italian War Cross and the French Croix de Guerre and was made a chevalier of the Légion d’honneur. By the Armistice, Benn had served in all three of Britain’s armed forces: the Middlesex Yeomanry in the army, the Royal Naval Air Service, and the newly-formed Royal Air Force. In December 1918, there was another election (delayed by the war since 1915 and called quickly by Lloyd George after the Armistice). Benn, still not keen on Lloyd George, stood as a non-Coalition Liberal in Leith, Scotland, after the boundary reforms of 1918 had abolished his St George’s seat. He remained a Liberal MP until 1927 when he left the party; as a Labour MP he was Secretary of State for India in 1929-31. Although out of Parliament from 1931, he won a by-election in 1937. He rejoined the RAF in 1940 and was made an Air Commodore, he was also made a Viscount in 1942 to increase the number of Labour peers in the (predominantly Conservative) House of Lords. As Viscount Stansgate he worked on planning the reconstruction of Italy and after the 1945 he became Secretary of State for Air before being reshuffled out of that post the next year. William Wedgwood Been died in 1960. His two eldest sons had served as pilots in the Second World War: Michael, the eldest and therefore the heir to the peerage, earned the DFC but died of wounds in 1944. Tony therefore became the heir and helped to change the constitution by refusing to take his seat in the House of Lords as the Second Viscount Stansgate after his father’s death in 1960. Tony Benn had been MP for Bristol South East for ten years and the voters there re-elected him despite the fact that he was disqualified from sitting in the Commons. The man who came second (Conservative Malcolm St Clair) took the seat and promised to give it up if Benn was able to disclaim his peerage; Benn did so after the Peerage Act 1963 allowed him to, and St Clair gave up his seat to Benn by resigning to prompt a by-election. Now that Tony Benn has died, his eldest son (Stephen) is the Third Viscount Stansgate but is not currently a member of the House of Lords. Ninety-two hereditary peers are entitled to sit in the House, alongside the more numerous Life Peers; hereditary peers are replaced through by-elections when they die, so Stansgate may have a wait on his hands to replace one of the two Labour hereditaries currently in the House. William Wedgwood Benn had an extraordinary Great War. He could have stayed at home and helped to steer vital legislation through the House of Commons as a whip and later as Chief Whip, but instead he served in all three armed forces and earned a staggering array of medals for his bravery and good work. When service personnel died during the Great War, their officers wrote to the bereaved families. Others also wrote, including those who had recovered the bodies or belongings of the dead. One who did this was Jack Sweeney when he found the body of Londoner Alfred Salway in Mametz Wood in 1916. On 10 July 1916, the 38th (Welsh) Division attacked Mametz Wood in France, in the early stages of the Battle of the Somme. Eventually the wood was cleared but only at the cost of 5,000 casualties in the division. Among the Welsh Division’s units was the 1st London Welsh, otherwise known as the 15th Battalion of the Royal Welsh (or Welch) Fusiliers. Among the dead of that battalion was Alfred John Salway, from Hoxton, a meat market porter. He had left his wife Emily and two children (at 1 Buttesland Street) early in the war to join the battalion, going out to France with it just before Christmas 1915. It was on the evening of the 18th or 20th of July (not sure of date) that I found the body of Pte Salway. I was sent with 30 men out of the firing line which was then in Mametz Wood. 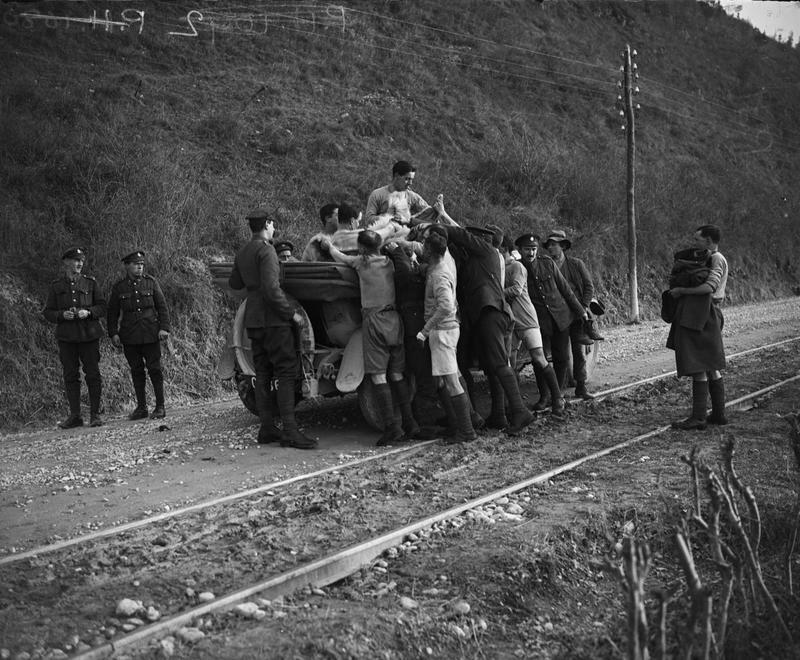 It was terrible fighting and the cries of the wounded were heart rending, we could not do anything for some of the poor lads but we managed to carry a few of them out with us. There were many dead of both sides but mostly German who I must say looked as thought they had put up a good fight. The woods was being shelled everywhere – we lost 7 men getting out, 4 were blown to pieces, I cannot describe what it was like but we wanted bombs and someone had to get them. stopped at the next line of trenches and Fritz was shelling a place on our right so we decided to get into the trench running from a road known as The Sunken Road. Just at the corner of the trench we saw 2 men lying, one on one side of the road the other on the other side. The moon was very bright, the man on the right was in a terrible state, his blood was draining from him into the middle of the road, his head (what was left of it) was covered with a sandbag, we did not touch him at all. The other man was covered with a sandbag but he was not hit about the body like the man opposite. Well something seemed to tell me to look in his pockets, he is the first dead man I have ever touched but I did it and I found a few photos of himself and his wife and children, a pipe and baccy and 1 franc and ½. After we were relieved we went by train to a place called Arras, I then sent that letter which I found on Pte Salway to his wife and she wrote back and thanked me and asked if I happened to find our where he was buried if I would let her known. Well when we left Arras to go to that ‘Hell’ again I had a look at a good many graves around the spot where I found Pte Salway but I did not find it. I know where he must be buried now, it is one of the big grave grounds, I passed it on the march. There are about 800 buried there, the graves are well looked after but some of the poor chaps are buried where they fell and a bit of wood made into a Cross to show that some poor lad is buried there, some have no names, others bear on the ‘An Unknown English Soldier’. After the war, the thousands of bodies around Mametz were consolidated into Dantzig Alley British Cemetery, where there are graves or memorials to 2,053 dead of the Great War – 518 of them unidentified. Salway’s body was identified (thanks to the items left on the body, which Sweeney mentioned) and he is buried there. He is also remembered on the memorial at his school, St Luke’s Parochial School. What solace it gave Mrs Salway to hear from Sweeney, we will probably never know, but finding out that a loved one’s body had been identified and properly buried was often a real comfort to the bereaved of the First World War. It was not only enemy action that put soldiers out of action. 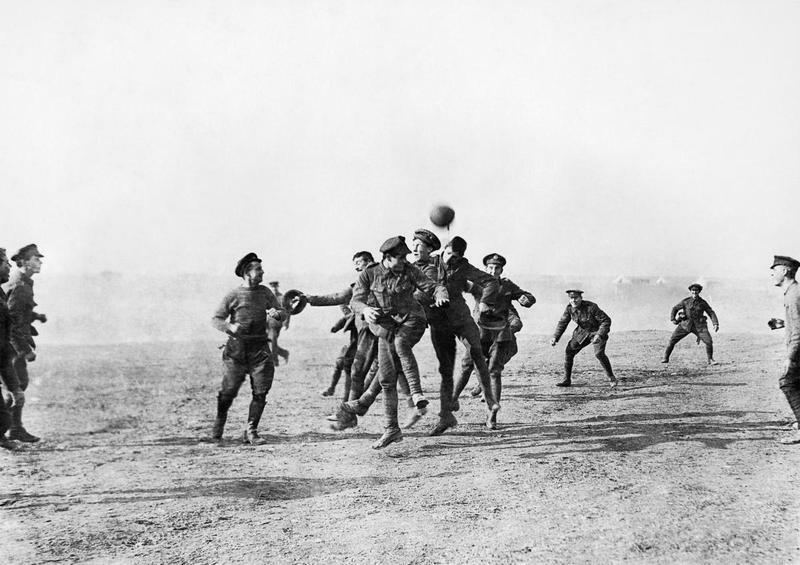 Football was the most common organised sport played in the British Army in the Great War, but in-game injuries could render men unable to do their duty. 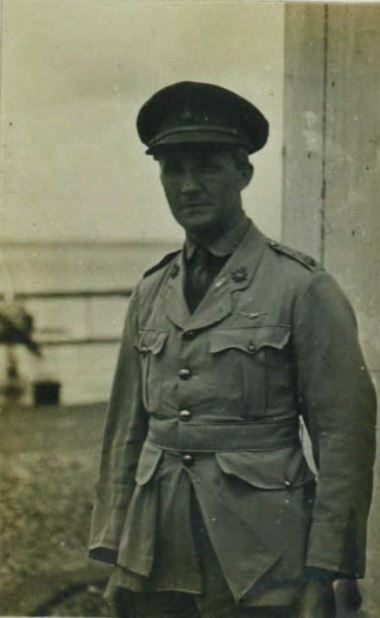 Albert Grover later joined the 2/4th London Regiment and served with distinction, ending the war as a Lieutenant Colonel, having earned the Distinguished Service Order and the Military Cross. The address on his medal index card was on Sarsfeld Road, Balham. Another wartime casualty of the ‘beautiful game’ was Percy Ernest Rapps, a clerk at the National Telephone Company. He had joined the 1st London Brigade, Royal Field Artillery on 17 September 1914 and went out to France in October 1915. By June 1917, he was a bombardier in “V” 56 Trench Mortar Battery – the ‘heavy’ trench mortar battery attached to the 56th (London) Division. After playing football for his battery on 29 June 1917, he was sent to hospital suffering from synovitis in his right knee. A few weeks later, he was sent back to the UK, to the 4th Scottish General Hospital in Glasgow. He never went out to the Western Front again, being stationed in Ripon and Larkhill for after he left hospital at the end of 1917. Private H.T. Barrett of the 25th Middlesex Regiment was so badly injured in a football match while in training that he was discharged from the army in October 1916 without having served overseas. Anthony Costello from Crouch End joined the 1st County of London Yeomanry in September 1914 and arrived in Egypt in April 1915. In May 1916 he was transferred to 9th London Company of the 2nd Imperial Camel Corps. His team’s captain, Sgt Jones, makes it sound a bit less intentional on the part of the other player, describing it as a collision and saying that no blame should be laid on either player. Costello returned to his unit in mid-February and served out the rest of the war in Egypt and Palestine with the Camel Corps and later in the Royal Engineers. Organised sports were obviously not one of the major causes for injury during the war, but personal service records can throw up these odd occasions where soldiers were put out of action for a few weeks. Sometimes this sporting injury was enough to rule a man out of front-line service or even military service altogether. In June and July 1916 the British army and navy took part in their largest battles so far in the Great War. London brothers Alfred and Sydney Squires played their parts in the two battles respectively, but their experiences were dramatically different. Alfred Webb Squires worked as clerk for Nestlé’s and Anlgo-Swiss Condensed Milk Company in Eastcheap in the City in 1914. Sydney Charles Squires had also been a clerk before joining the Royal Navy in November 1910. They were the only surviving sons (by 1911) of Alfred Squires, a dock clerk with the Port of London Authority, and his wife Ann, nee Webb. Alfred junior lived with his parents in Arthurdon Road, near Ladywell cemetery in South London. By the summer of 1914, Sydney was a sick bay attendant at Haslar Royal Navy Hospital in Gosport. Within days of the outbreak of war, on 8 August 1914, Alfred joined the 9th Battalion of the London Regiment – Queen Victoria’s Rifles. He went out to France with them in November 1914. 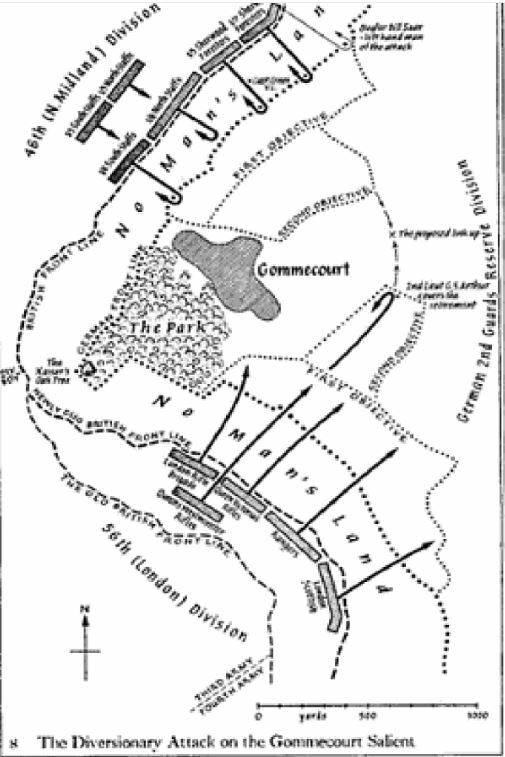 This map (apologies for the image quality) from Martin Middlebrook’s book The First Day on the Somme shows the salient the Londoners pushed on into as they advanced south of Gommecourt. The “Vics” are the second from the left of the four foremost battalions in the diagram. London life certainly was smashed that day. The Queen’s Westminster Rifles suffered over 500 casualties, with all 28 officers and 475 of their rank and file killed, wounded or missing by the end of the day. Queen Victoria’s Rifles suffered heavily too, with nine officers and 212 other ranks listed as killed on that day by the Commonwealth War Graves Commission database. Among the other casualties in the “Vics” was Rifleman Squires, with gunshot wounds (meaning either bullets or other projectiles, such as shrapnel or shell fragments) to his right shoulder and his back, broken ribs and a punctured lung. He passed through 2/1st London Field Ambulance and 43 Casualty Clearing Station (at Warlencourt) before going on to No 2 Canadian General Hospital at Le Treport. He was sent back to the UK a few days later. In October, he was awarded the Military Medal. As we have seen before, this was a new medal established during the war and only awarded for bravery in the field. No further details of A.W. Squires’s award are available online, but it seems safe to assume that he earned it for his bravery on 1 July 1916. By November Alfred Squires was fit enough to rejoin his unit, but only in the UK – he worked as a grenade instructor, but never went back out to the Front. In 1918 he got married, and was demobilised after the war in 1919. Sydney’s battle experience in June 1916 was considerably less dramatic. Although he was now based on board a ship, the HMS King George V, that took part in the Battle of Jutland, its participation was minimal. The Wikipedia page summarises it briefly: “King George V was lightly engaged during the battle, firing nine 13.5-in rounds at the German battlecruiser SMS Derfflinger, which missed. King George V was undamaged in the battle.” Sick-bay attendant S.C. Squires was probably not as busy as his comrades on other ships that day when over 6,000 British sailors were killed and over 600 wounded. He served on a number of other ships and stations over the next six years before leaving the navy in 1922, after twelve years’ service. Experiences of the Great War could vary enormously. Both Squires brothers played their part in the major battles of 1916 – indeed both worked to help the sick and wounded – but their experiences were wildly different. Thankfully both survived the war. The Long, Long Trail – as ever an indispensable source of information.